Are you the kind that takes life seriously and would like to achieve a lot in your life? Then this is what will help you accomplish one of your desires; that of learning how to play a keyboard instrument. This book gives you a step-by-step easy and applicable method of learning a skill, for which, those who understand that success comes from knowledge and hard work, will be of great value. The only very essential fundamentals, that are necessary, to learn the skill are found in this book. 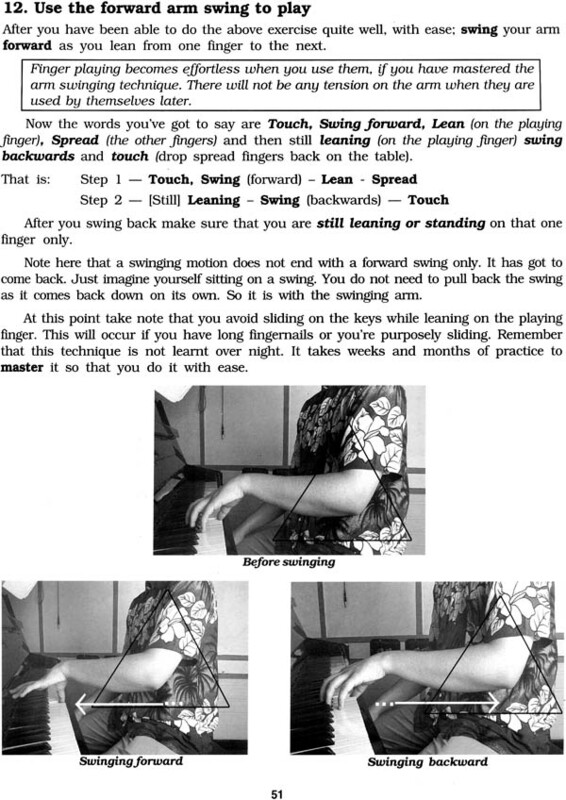 'Mind over Finger' will tell you that it is only the mind that can help you achieve your goal in learning this wonderful instrument (the keyboard). More than that it will help you accomplish all your other goals in your life that you've always wanted to achieve. It just needs dedication and sincere effort on your part to succeed. Ronald Laloo, born in Shillong (Meghalaya) in 1959, was introduced to the piano by his mother at the young age of five. He later took lessons under the guidance of Mrs. Edith Willis at Pune and completed the LTC.L (Licentiate Trinity College London Diploma) in 1987. He also completed the Bachelor of Music from Spicer Memorial College, Pune. He has attended many workshops by many prominent world musicians at the Delhi School of Music. Presently, Mr. Laloo is a well known music teacher at the Delhi School of Music where he has been for over 15 years now and with an experience of over 30 years of teaching music. This book is. proof of his love, care and dedication in the teaching of music. He is also involved in working with choirs. The Piano and Electronic Keyboard with touch response (Casio, Yamaha, Roland etc) .1. are all keyboard instruments, which have the same learning basics or fundamentals. That is if one desires to learn any of them. The difference is only that the piano gives only a piano sound while the keyboard instruments have many kinds of sounds, which gives variety to the sense of hearing, which we call sound. 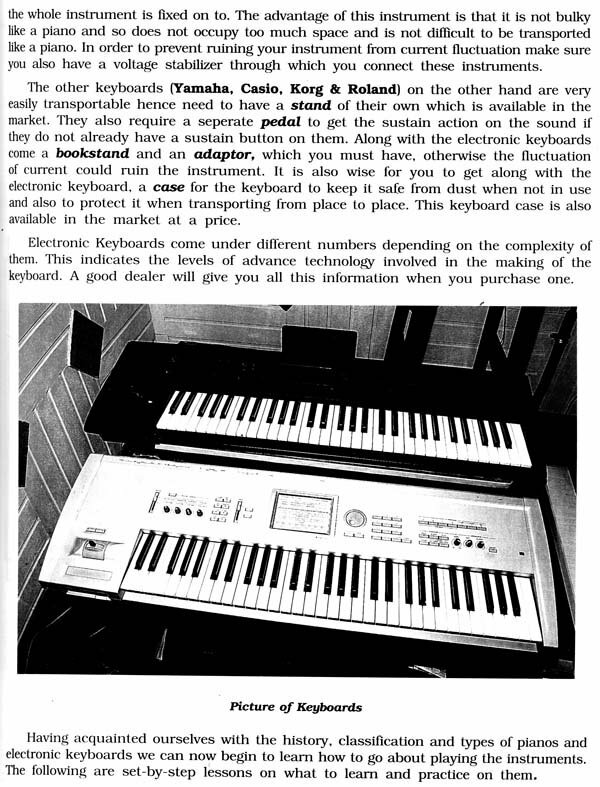 These sounds in an electronic keyboard instrument are programmed into the instrument and can be retrieved by commands. Hence are more fun and interesting to the modern generation. But fundamentally all keyboard instruments have the same keys, black and white. Thus the method for playing them is the same. This book is meant to understand the fundamentals or basics of music and how to learn to play any keyboard instrument, which is essential, if one wants to be a serious student of music. 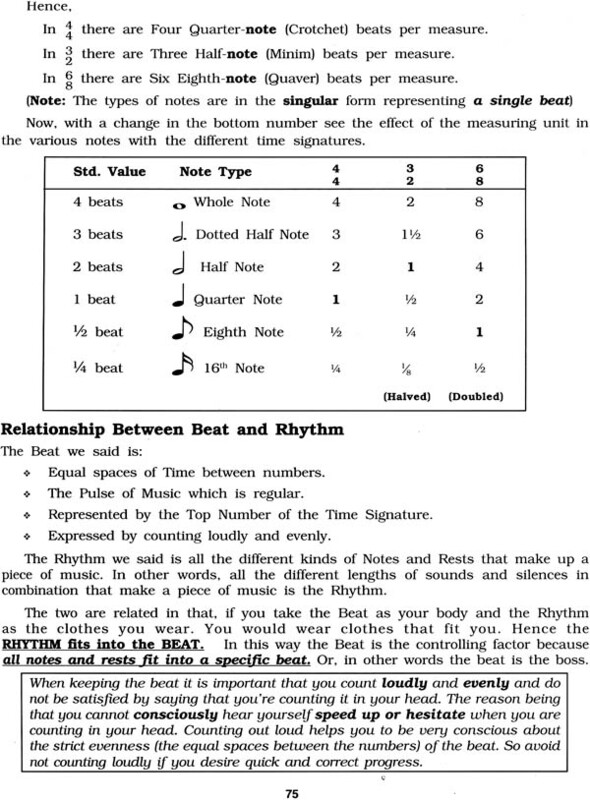 It will help you not only to be intelligent but also help you-understand how music is written. If you are a composer, who composes your own music, it will help you know how to write down your music. You won't need this book if you want to use your ear alone to play popular songs that you hear in the Radio and Television. 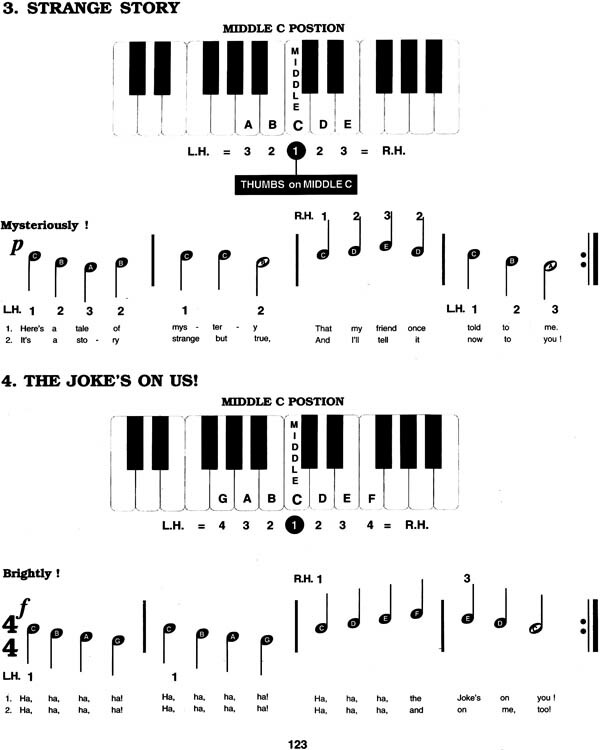 For that you only need to learn the songs or tunes by heart and then by trial and error figure it out on the keyboard. For that, anyone can do if you can sing songs. This book is not for those students. 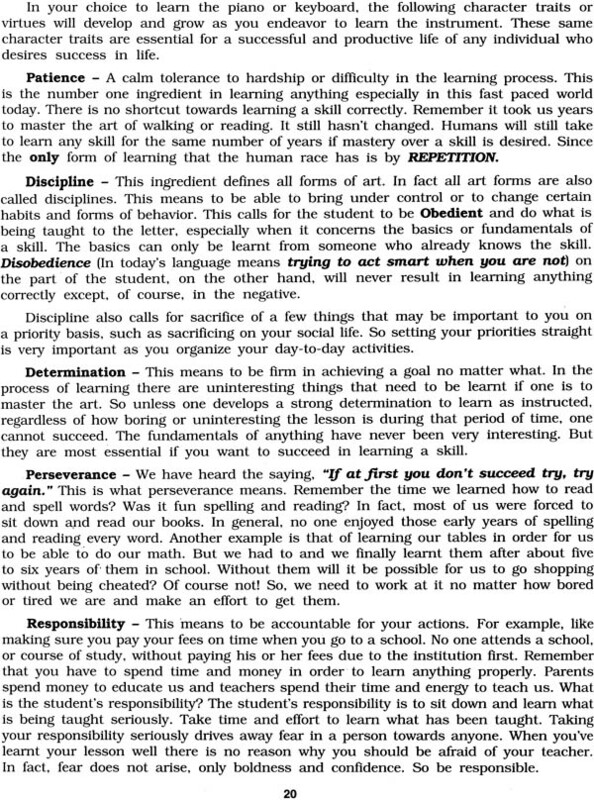 This book does not believe in learning by trial and error. 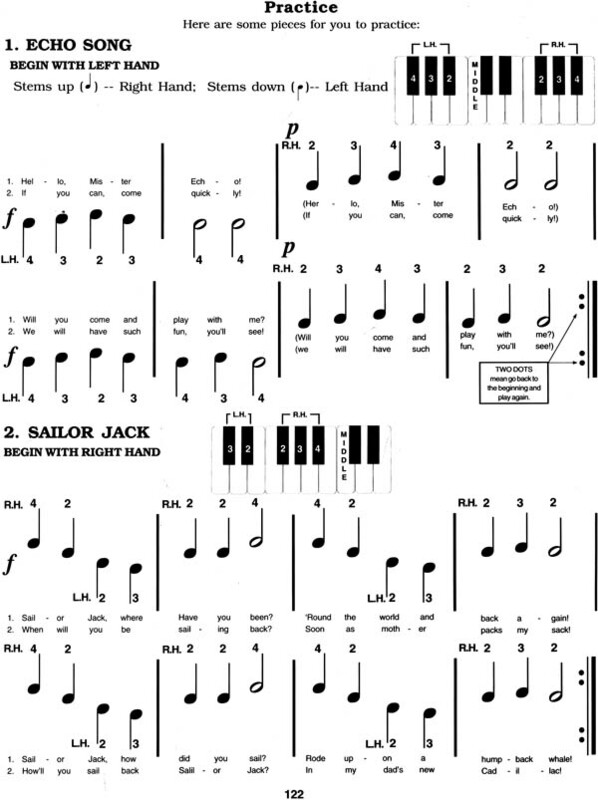 It will help you to learn how to play a keyboard instrument as you would learn to read a book or write a story and if you enjoy reading and writing today, you know what you had to go through to learn how to read and write. And learning these fundamentals will also assist you in learning any other instrument apart from the keyboards. The basics or fundamental knowledge of a skill or any study is the only knowledge that we need that can be used for the rest of our lives; hence if we do not have that knowledge (data) in our brains to use when we need it, we will not be able to perform the skill or use it in the field of study for the future. Take for example, it is the knowledge of the first ten years of our lives that we are still using and will be using till we die. Those are the fundamentals of survival in this world. If you still have not learnt your alphabets or your numbers by the time you are 25 years of age you will be considered an illiterate and you will be, for the rest of your life, if you don't pick it up much later. What I'm saying here is learn your basics thoroughly if you want to be a musician and enjoy the beauty of music that will be yours alone, for the rest of your life. There is no shortcut to knowledge. The thought trend in this present fast-food generation is that there is a shortcut to gaining genuine knowledge. Genuine knowledge is not fast food and will never be fast food. It requires hard work and lots of time spent to learn it. So stop thinking that you can learn to play a musical instrument over- night. No one ever learnt how to speak over-night. I want to assure you that you cannot. So do not fool yourself by listening to people who seem to think so. 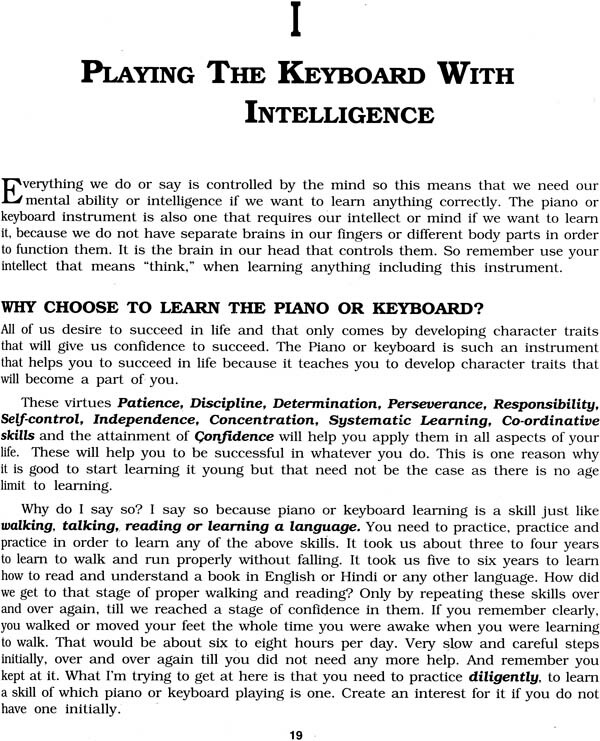 Learning to play the piano or a keyboard instrument is a very personal thing. So unless you take it so you will not find much joy in learning it. It is something just for you. You work hard, you learn it; no one else is benefited by it. It is exactly like learning how to read and the joy of reading when you finally achieve the goal. So take it very personal and make the time and effort to learn this wonderful skill that can be yours for the rest of your life. It is one skill that no one else need enjoy but you. It will keep your life in complete balance with all other aspects of your life. If you are depressed the piano or keyboard will relieve you from your depression. If you are happy it will make you even happier. If you are sad it will make you forget your sadness because all it can do is make you happy. If you are heart broken it will mend your broken heart. This is what music does to the life of a person, so isn't it worth trying to learn it? I challenge you to it. I wish you all the very best in your efforts. This book has been divided into four main parts. It describes a step by step method of learning the instrument just as a good teacher would. Part I is an intelligent outlook on choosing to learn how to play a keyboard instrument whether a Piano or Electronic Keyboard. Your introduction to the instrument as you see it in front of you; its visible basic parts and identifying them by understanding the basic concepts before actually learning how to play the instrument. Part II deals with your composure in front of the instrument; what involves with you physically in order for you to play with ease and comfort not with tension, which is the wrong way to do anything. 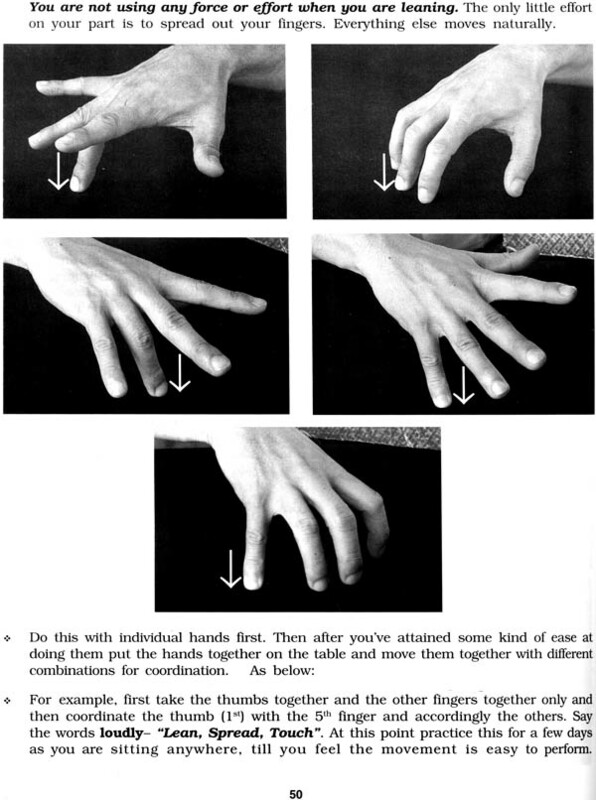 It also introduces your first finger exercises using the technical skill described. Part III enlightens you to how music is represented as a language, so you are able to understand, read and write music, which is the same for all musical instruments in western music. 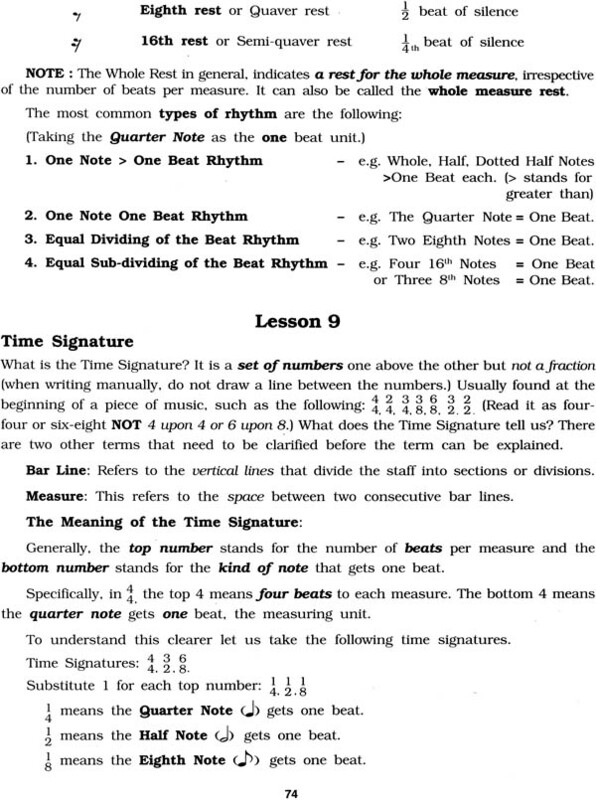 These are the fundamentals of reading and writing music. Also the Pedal and its use. Part IV helps you on how to maintain your instrument so its life will give you your moneys worth for buying it. Plus a few introductory pieces before you can buy the books available in the market that will make sense to you after you've completed learning the basics of music given in this book.